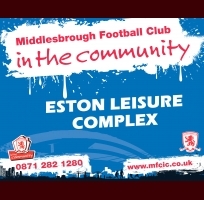 MFCiC has two main sites, the Eston Leisure Complex and The Willie Maddren Centre at the home of MFC, the Riverside Stadium. MFCiC's Eston Leisure Complex enables us to provide a wide range of coaching programmes on our first rate synthetic indoor and outdoor facilities, our coaching courses are available for children of all ages and abilities and are available 6 days a week. You can also hire our indoor and outdoor pitches at highly competetive prices. See facillity hire to the left for special offers. 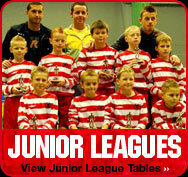 The centre is also home to our adult, junior, youth, schools and girls leagues. Middlesbrough Football Club in the Community are also the proud license holders of Middlesbrough Girls Centre of Excellence, an FA partnershipped development scheme for talented female players. 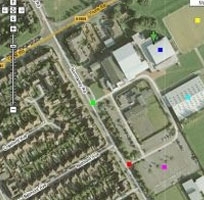 Browse our range of facilities and activities on the left. Call in today and speak to our friendly staff or for more information call us on 0871 282 1280.